Dr. Connie Pugliese ND Committed to helping our patients live healthier lives. Experience the personalized natural care that you’ve been waiting for. Naturopathic Doctors combine the wisdom of nature with the rigors of modern science to restore health. Naturopathic medicine focuses on holistic health and proactive prevention when working with each unique individual. The goal of using a holistic approach (treating the whole person) is to create a healthy environment inside and outside the body to facilitate one’s inherent ability to heal itself. This can only be achieved by first determining the root cause of your health issue which is the main focus of a Naturopathic Doctor. It is the Naturopathic Doctors role to identify and remove barriers to good health and to use protocols that minimize the risk of harm to achieve optimal health. Support the healing systems inherent in the body by using methods, medicines and techniques that are in harmony with natural processes. 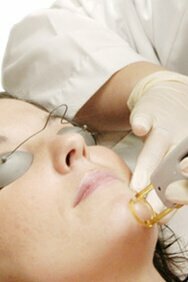 Preference for noninvasive treatments which minimize the risks of harmful side effects. Trust in the body’s inherent wisdom to heal itself by naturally supporting the body’s biochemistry and cellular physiology. Every illness has an underlying cause, often in aspects of lifestyle, diet, or in the surrounding environment. Naturopaths are trained to find and remove the underlying cause of a disease. A deep understanding of biochemistry and cellular physiology is vital in determining the root cause of the problem. View the body as an integrated whole in all its physical dimensions. Every individual is unique, so every plan should be unique to the individual. Educate patients in achieving and maintaining health.